CatchSmart Quality Control tracks all production processes to identify bottlenecks, grow your business and customer trust. The system follows every step of the production flow, starting from the moment you receive raw materials to the moment your client receives the end product. All data is shown in CatchSmart Quality Control platform, which you can access at any time. To make it more convenient, you can set up regular reports and automated notifications of failures. With all the gathered data, you will see what and in which production stage could be optimized, fixed or changed to improve the overall product quality. Best of all, the system has a built-in machine learning. It will learn, for example, how long does engine parts last and when to change them to prevent a failure that affects the quantity produced. If the recipient discards some or all of the products, usually you would be left wondering what happened with no other option than accepting the losses. However, with CatchSmart custom reports, you will easily trace back the root issue that leads to a failure. It has proven itself to prevent such causes, that helps producers achieve high package acceptance levels. Now it's much easier to control the process flow and we're able to measure the ratio between each employee's productivity and each produced unit. Also, the system lowers the probability of repetative errors which is essential for us. I recommend CatchSmart for any manufacturing business, no matter the size or industry. Santa R., Member of the board at "SIA Jēkabpils kokapstrāde"
CatchSmart Quality Control is a proven system made by manufacturers for manufacturers. If you own a manufacturing company, this is your chance to produce more in high quality to grow your business. CatchSmart is a data manager for the following websites: https://www.catchsmart.com/en, http://catchsmartsolution.com/ and the subdomain quality.catchsmart.com. analyze the characteristics of our customers in order to understand customer and market needs for the development of new products and services, as well as for marketing communication purposes. When you visit the mobile application (CatchSmart Quality), we may use GPS technology (or other similar technology) to determine your current location in order to save location on CHECK or CLAIM actions. Collected personal data is processed in accordance with the policy described in the Regulation. CatchSmart group company’s employees and contractors will use your data only for the purposes mentioned above and to improve the quality of CatchSmart services. The companies in the CatchSmart group include, but are not limited to, the list of companies available at http://catchsmartsolution.com/contacts/. The list of companies may change, so please keep a track of the information in the link provided before or at https://catchsmart.com/en/. 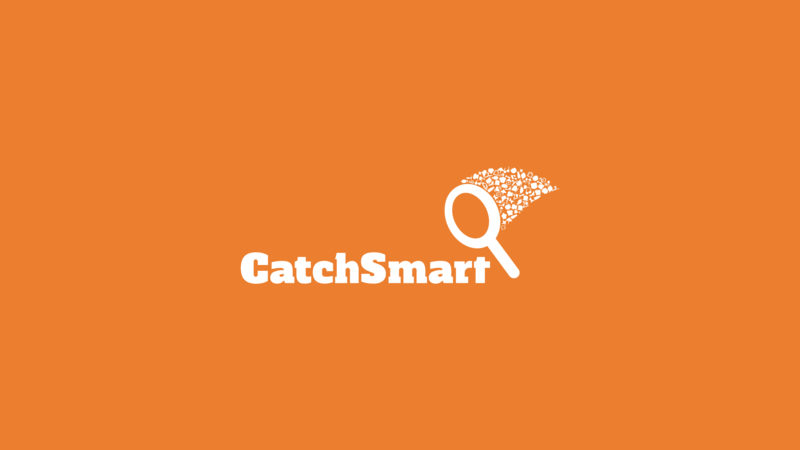 If you have any questions about the processing of your personal data, you can send an e-mail to quality@catchsmart.com. Only properly appointed and duly authorized CatchSmart staff can access the data using their personal password in their respective systems. a marketing specialist for the marketing sector who provides marketing tools and with whom we have a legal contract. When you push “request a meeting” or “request a demo” or “see how it works”, “contact us” - the following data are collected: company representative’s name, business email, company name, business type, phone. When you visit the mobile application (CatchSmart Quality: https://play.google.com/store/apps/details?id=com.catchsmartquality&hl=en or otherwhere legally), we may use GPS technology (or other similar technology) to determine your current location in order to save location on CHECK or CLAIM actions. We will not share your current location with other users or partners and will not be transferred to other third parties for processing except in accordance with the Directive and the legal provisions. Catchsmart is not responsible for the GPS technology itself, but only uses its services under GDPR and is not responsible for the operation of the GPS technology itself. HOW CAN YOU ACCESS YOUR DATA, CHECK IT’S ACCURACY AND EDIT IT? You have the right to request a copy of your personal data at any time, verify the accuracy of the information stored and/or correct or update this information. You can also ask to completely delete your personal information if you currently have no active requests. We will make all commercially reasonable efforts to provide you with adequate access to any of your personal information we hold for 30 days from your access request. You can unsubscribe at any time by sending an e-mail to info@catchsmart.com or using a link that is available to you in the messages we have sent you. To protect your privacy and security, we will take appropriate steps to verify your identity before issuing information about your personal data. WHAT TO DO IF YOU HAVE ANY QUESTION OR COMPLAINT? If you want to access, delete (in some cases) or correct your personal information, please contact the data controller responsible for processing this data, email: info@catchsmart.com. For complaints and conflicts, please contact CatchSmart Data Protection Officer (email: info@catchsmart.com). If you submit a privacy complaint, we will record your name and / or company name, the name, email and country of the party related to the complaint, and the information that was the basis of the complaint. We will use the information you provided to process your complaint and send you a response as soon as your complaint is reviewed. analyze which websites you visit and which consumer privacy tools you use. Enabling these cookies is not essential for the core features of the website, but it will provide you with a better browsing experience. You can delete or block these cookies at any time, but if you do, some of the web site's capabilities may not work as intended. Please note that some cookies may be placed by a third-party service provider that performs separate functions for our needs. The cookie information is not used to identify you personally and the data collected is stored under our control. These cookies are not used for any purpose other than those described here. You can control and/or delete cookies if you wish. You can delete or block all cookies that are already on your computer, but if you do, certain features of this site may not work as intended, and you may need to manually adjust individual choices each time you visit the site. We may make your personal information, customer information or business information available to companies providing services or helping us in business matters, for example, by providing website analytics or outsourced customer service. These companies are authorized to use your personal information, customer information only to the extent necessary to provide us with these services to improve your experience with CatchSmart.